Deloitte’s appetite for acquisition is showing no signs of abating across Australia and New Zealand (A/NZ), with 20 technology specialists snapped up within the space of five years. Accounting for 18 transactions in Australia, and two in New Zealand, the consultancy giant is continuing aggressive plans to build out technology capabilities on both sides of the Tasman. With one acquisition already confirmed in 2019 - in the form of Splunk specialists Converging Data Australia - Deloitte produced another record equalling haul of businesses in 2018, in taking control of five technology providers. Mexia, CloudTrek and ATADATA came into the fold across Australia, while API Talent and CloudinIT joined the business in New Zealand. Meanwhile in 2017, CBIG Consulting; Well Placed Cactus; JKVine; Nesoi and Strut Digital were purchased, following Plenary Networks; Kid Neon; The Explainers; Sixtree and Cinder Agency 12 months earlier. In looking back earlier, 2015 played host to the acquisitions of Qubit Consulting; Dataweave and Cloud Solutions Group, ahead of DIGIVIZER in December 2014. Therefore, the deliberate nature in which Deloitte is building out technology capabilities across A/NZ should not be underestimated, as the channel awakens to a new type of competitor. For such a titan of industry - built on the foundations of risk, audit and accountancy - to commit so spectacularly to the technological cause should be viewed with a mixture of encouragement and alarm for partners. 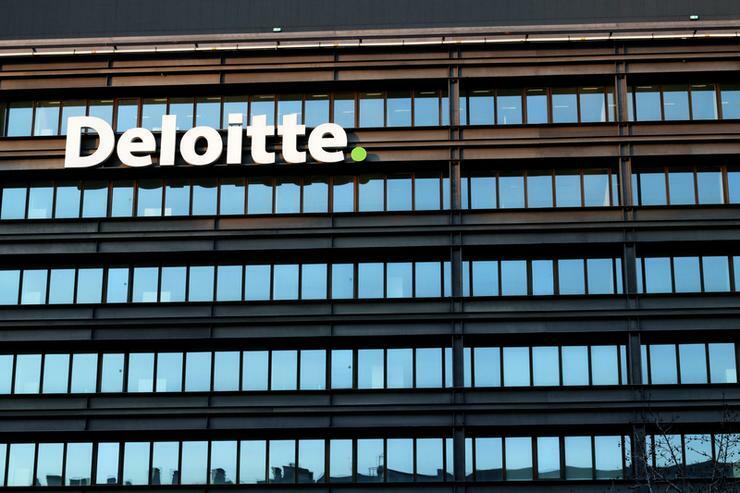 While fellow competitors EY, KPMG and PwC should not be discounted, likewise Accenture and Capgemini, Deloitte is charting an aggressive path to grow in a crowded local market. This is a business - which recently merged operations across Australia, New Zealand, China, Japan and Southeast Asia - that has a deep customer base and even deeper pockets, with the resources to move with the market at speed and at scale. Likewise, an advisory heritage ensures that multiple technology buyers - spanning the CIO, CMO, CDO and line of business leaders - are communicated with in languages applicable to the role, removing the technical jargon that forever hinders the traditional channel. The naysayers will argue that the coming together of 20 niche providers is a recipe for disruption, pointing to almost certain roadblocks around integration of employees, customers and technologies. But for Deloitte, the method is simple, a deliberate strategy to be precise. In working with businesses at a very early stage, the consultancy house is either encouraging or investing to drive growth from the outset, eventually creating a target in which the company will buy at a later date. Upon completion of the deal, the acquired provider is eventually folded within the Deloitte business, ensuring that all skill-sets and technical attributes are maximised from the outset. There’s no such instance of leaving a business as standalone, with Deloitte adhering to the viewpoint that if something is standalone, best to have a standalone balance sheet as well. A few examples of integration at work show the buyouts of SixTree and JK Vine coming under the Platform Engineering practice, bolstering capabilities across integrated technology platforms and optimisation. Within Deloitte Digital, The Explainers provides storytelling and customer centric expertise, Cinder Agency specialises in marketing optimisation specific to Salesforce, Kid Neon offers virtual reality skills and Well Placed Cactus excels across augmented reality and interactive developers. The tech advisory attributes of Plenary Networks, in the context of the Internet of Things, falls under the Technology Strategy and Architecture (TSA) division, joined by the DevOps and Amazon Web Services’ expertise from Strut Digital. Finally, the skill-sets of CBIG Consulting - spanning business intelligence and data analytics - fall under the Analytics and Information Management practice. In this instance, nine acquisitions coming together to help shape, and reshape, Deloitte’s go-to-market strategy. And in looking ahead, the buying spree doesn’t look likely to end, with Deloitte on the acquisition hunt in search of Google Cloud partners across Australia, New Zealand and the wider Asia Pacific region, as the tech giant seeks further specialist expertise.